After the Galaxy S6 impressed us all with its performance in AnTuTu, this time it is the Galaxy S6 Edge who showed up literally ‘Like A Boss’ at Geekbench. 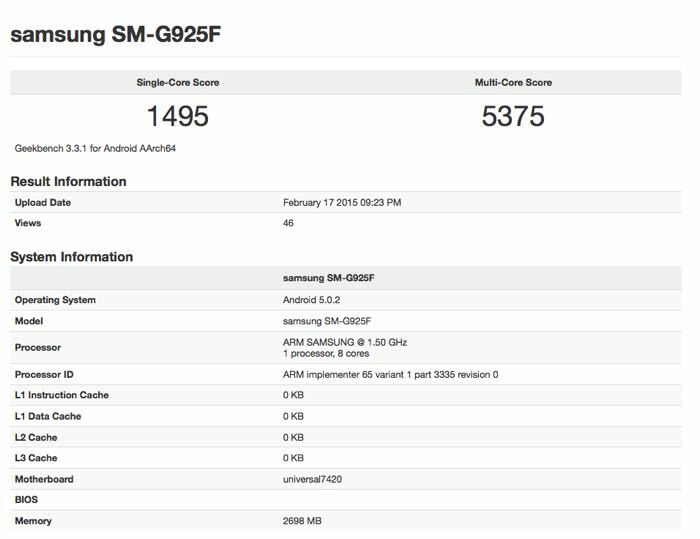 Not to forget, the Galaxy S6 Edge (SM -G925F) will be coming with the 14nm new Samsung Exynos 7420 processor which includes four Cortex-A53 and four Cortex-A57 cores. The result? Well, according to the Geekbench’s result, the 3GB RAM powered Galaxy S6 Edge scored a stunning 5,375 points in the multi-core test whereas, its closest contender which is LG G Flex 2 scored 3,929 points according to Geekbench. The result so far puts the Galaxy S6 Edge at the top of the table with Samsung’s Exynos 7420 outperforming Qualcomm’s Snapdragon 810 which although have the same processor set up but are made on 20nm process. The table may turn once Qualcomm comes with its new chipset codenamed Taipan. Along with the new chipset on board, the Galaxy Series will be coming with freshly rewritten TouchWiz UI to support 63-bit processor. Furthermore, Android’s latest OS, Lollipop 5.0.2 will run the new Galaxy S6 duo. The Galaxy S6 Edge will come with 5.1 inch QHD resolution display and might possess 5 mega pixel front facing and 20 mega pixel rear facing camera. There might be storage options ranging from 32GB up to 128GB. 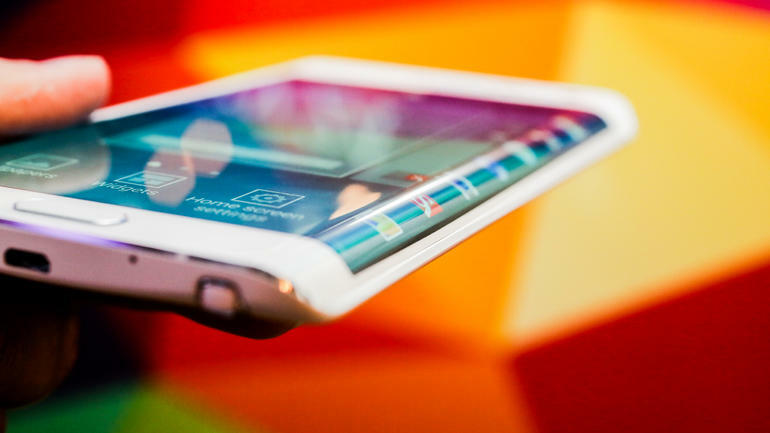 In addition to that, the S6 duo may come with wireless charging features as well. The date set to launch the Galaxy S6 duo is on 1st March, 2015, a day before the Mobile World Congress ’15 kicks off at Barcelona.